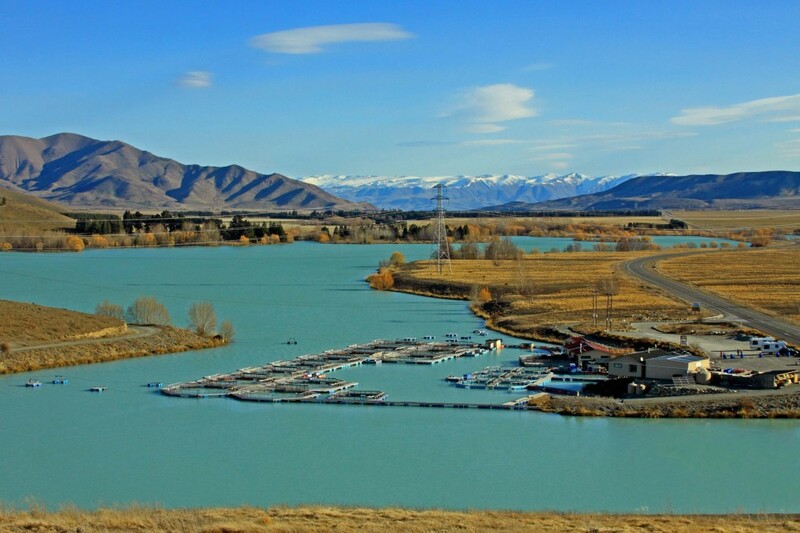 The glacier-fed waters of the hydro-canals in the New Zealand MacKenzie Basin produce the world’s only freshwater farmed King salmon. The canals link mountain lakes and their swift, cold and pure waters produce a smaller fish with differing culinary attributes to their sea-reared cousins. Fresh water farmers use net pens anchored to the side of the canals and the strong flowing currents continually flush the farms ensuring the water remains in pristine quality.